Shea butter may help to relieve dandruff. Shea butter can be applied topically to treat eczema. Shea butter can be found in some sunblocks. Shea butter, also known as shea nut butter, is a naturally-occurring fat found in the fruit of shea trees. The butter is extracted by means of crushing or boiling. While shea butter has a wide variety of applications, its perhaps most widely known uses are medicinal and cosmetic. Shea butter has a reputation for being a good moisturizer and emollient because it contains Vitamins A, E and F and because it's easily absorbed into the skin while softening it. Unlike other fats, it doesn't leave behind a greasy or oily residue. Consumers are likely to find products containing shea butter behind cosmetic counters that offer acne, scar, burn, itching, rash, eczema, lip, shaving irritation, dry skin, psoriasis, stretch mark, wrinkle and skin discoloration treatments. 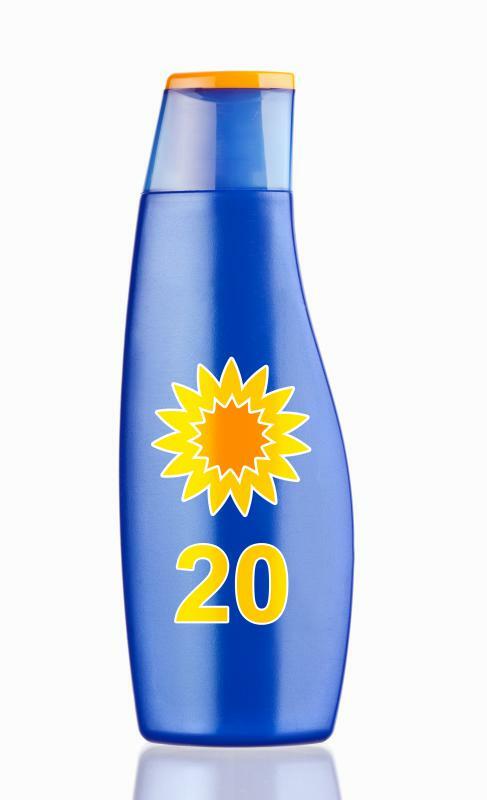 It may also be found in products like sunblock because of its natural Ultraviolet (UV) light protection properties. The butter is often included in expensive cosmetics for its soothing and revitalizing qualities, but also because manufacturers can demand a slightly higher price for items containing the ingredient. Manufacturers of shampoos and conditioners, for example, can increase prices based on the shea butter ingredient. 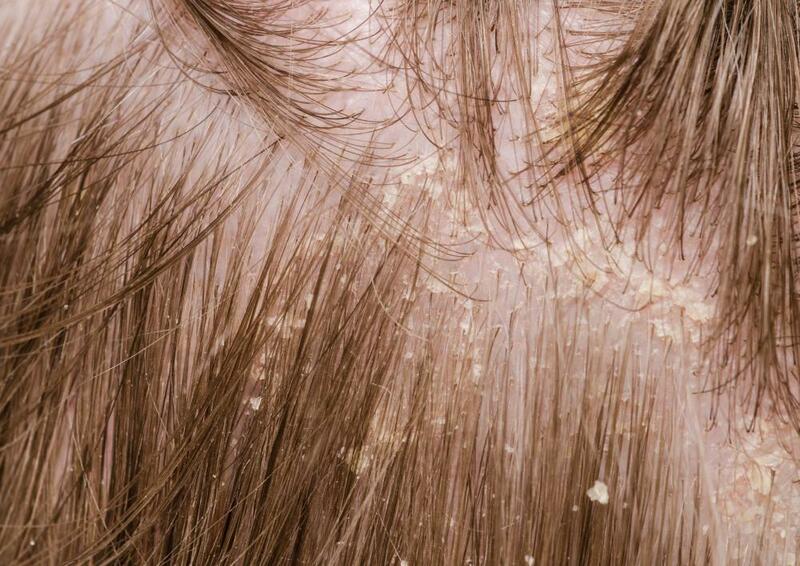 The butter can bring elements to the hair products that it wouldn't normally have, because it can act as a deep moisturizing agent, dandruff reliever, hair softener or can be marketed to stop hair breakage. 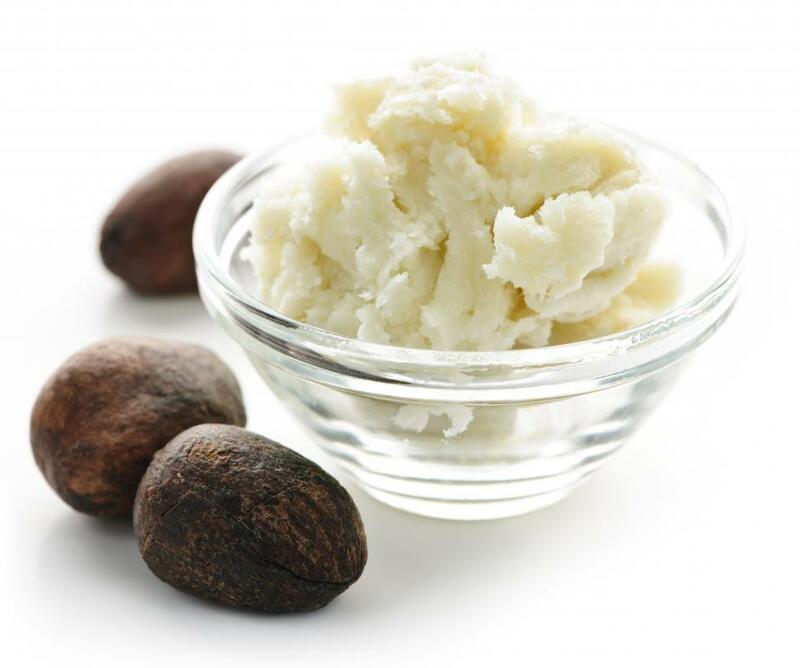 Shea butter's medicinal purposes have been noted throughout history as well. It's been rumored to act as an anti-inflammatory agent and has been known to promote blood circulation and the regeneration of cells. In Nigeria, its use is promoted to control sinusitis and increase nasal congestion relief. The butter is applied within and around the nostrils so that its emollient properties relax facial skin and facilitate breathing. While color is not the determining factor of shea butter's purity because of varying nut pigmentation, one can get a general idea of a batch of butter's purity by examining its color. Raw butter is a creamy grayish yellow color. Refined butter, or butter that has lost some of its purity, is lighter than raw butter. Highly processed butter, with questionable pure components, is pure white. In addition, raw butter is likely to have a scent attached to it, while refined butter is usually odorless. To truly reap the benefits of a product that contains shea butter, consumers should look at labels on products carefully. Products that list shea butter as one of the first ingredients are more likely to have a significant amount of the butter in its formulation. Consumers should also research manufacturers' refining techniques to make sure a product contains a high quality of butter as an ingredient. What Is Shea Butter Shampoo? How Do I Choose the Best Shea Butter Soap? What Are the Different Types of Shea Butter Products? What Are the Different Uses for Shea Butter? How Do I Choose the Best Raw Shea Butter? I don't use shea butter for my skin, but I use it for my hair as a hair treatment. I buy the solid kind and melt it on the stove top. When it is warm enough to apply, I smother my hair with it and cover to maintain the moisture. After about half an hour or so, I just wash my hair with shampoo. I do this several times a month, but you can do it more often if you want. If I have extra time, I leave it on longer than half an hour, I think the longer it stays on, the better it is for your hair. it with a straightening iron almost every day. That damages my hair a lot and it is dyed as well. So it's a really great treatment to regain some of the moisture and I think it makes my hair stronger too. I have noticed that it is growing faster since I've started using it. Shea butter is really amazing. When I went to Africa for a study abroad, we spent time in a village and noticed that the women there had wonderful skin, really soft and healthy. I honestly wasn't expecting that because the weather was so hot and dry there. It turns out that they have a lot of shea trees in the area and the women were using shea butter daily. They didn't seem to have any wrinkles or discolorations on their skin. I really think that shea butter is good for dryness, especially if you have stretch marks, dry and chapped lips, or cracks on your heels. I think if you use it for the long term and use the right kind (all natural, unrefined), you will get the same benefits. 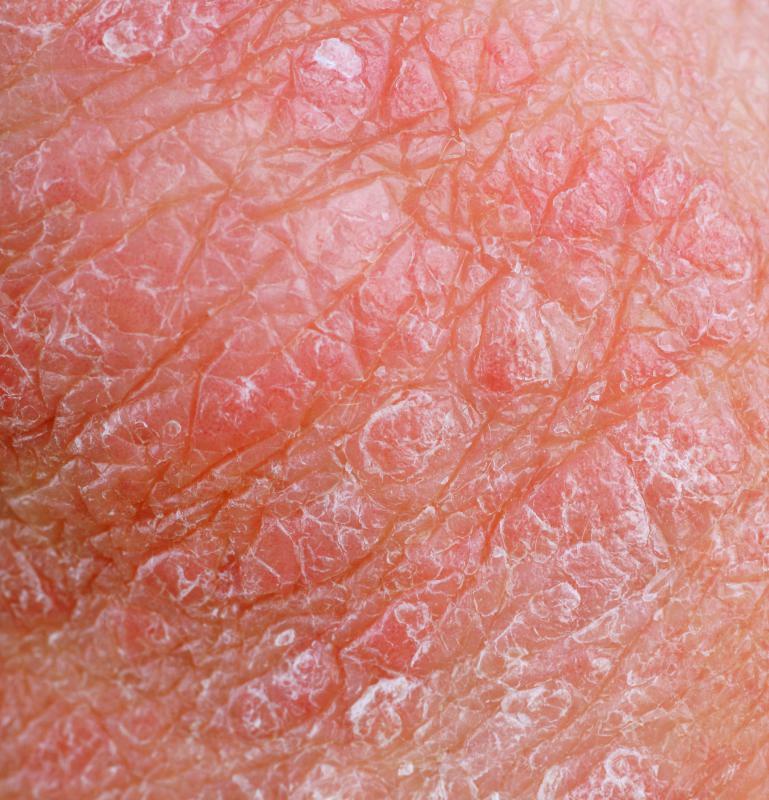 It's said to be beneficial for eczema and arthritis patients too. I use shea butter for body lotion, especially in the summertime. My friend from Senegal introduced me to shea butter. She uses it everyday and told me that it is very common in Africa. I completely agree with the benefits mentioned here, it really does relieve my skin after being in the sun. I also love that it doesn't leave a greasy after feel. I want fresh and soft skin, not greasy and sticky. It's good to know that it provides UVB protection as well. And thanks for describing what natural shea butter should look like. Mine is a yellow color and has a nice scent to it, so I guess it is not very refined.